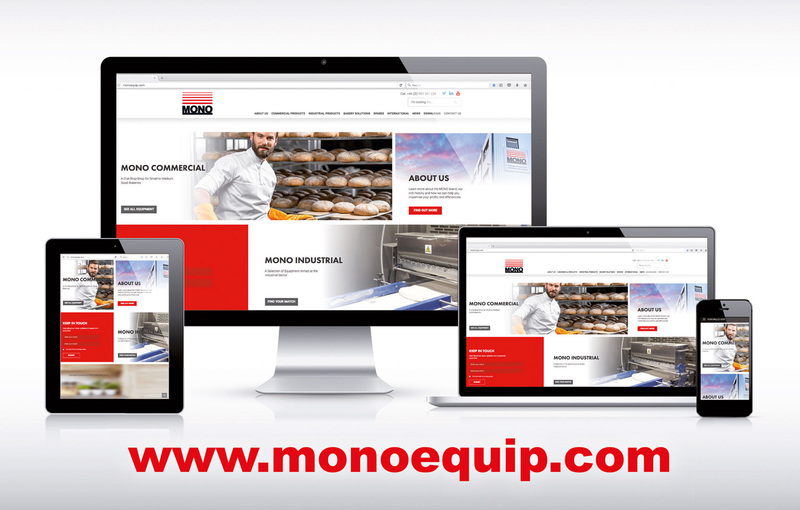 We are delighted to introduce you to MONO Equipment's new responsive website - www.monoequip.com - which is bigger, better and more informative than ever before! The newly designed website is designed to work perfectly across all your devices including desktop PCs, Ipads, Tablets and Smartphones, making your browsing experience much easier and far more rewarding. The site also includes a wealth of new and exciting features which I am sure will delight you and keep you coming back for more..
A NEW About Ussection details the rich and varied history of MONO Equipment through the decades, from its inception in 1947 to the present day. Adorned throughout with historical images, the About Us section provides a true insight into the MONO brand and an evocative trip down memory lane. A NEW Industry Sectors section highlights the growing list of different business sectors to which MONO Equipment supplies a range of equipment and services. Some will undoubtedly surprise you! A NEW Recipe of the Month section offers a FREE monthly recipe download featuring our favourite cakes, biscuits, breads or savoury products which a member of the MONO Equipment team has baked at home. Look out for the new Recipe release at the start of each month! A NEW Case Studies section features actual case studies of companies which have chosen MONO Equipment to help them improve their efficiencies, productivity and margins. This will grow into a valuable resource area. A NEW MONO Masterclass section where you will be able to discover the very latest Masterclasses offered by MONO and taught by recognised industry experts. Small class numbers mean attendees get dedicated access to some of the UK's leading professional bakers and pastry chefs. A NEW and improved Contact Us section will ensure you get straight to the MONO Equipment representative you wish to contact as quickly and effortlessly as possible. A NEW MONO Equipment Video section will grow to become a valuable resource for customers, featuring Corporate, Product and the all-important 'How-To' videos. A small selection of the current videos can be seen online now.